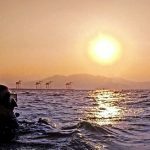 In this article, I will be looking at what differentiates basic wreck diving courses – the good, the bad and the ugly. 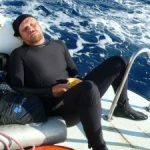 In particular, I want to examine specific wreck penetration issues, so that the reader may find some guidance in their selection of a potential wreck diving course provider. The discussion will describe how the wreck penetration environment is similar, in risk and necessary training, to other overhead environments, such as caves or caverns. It will compare how training, certification and instructor standards can differ drastically between those cavern and wreck environments. In doing so, I hope to present a compelling case for the need for high-quality training for safe wreck penetration. I will then cover specific factors that determine the likely quality of a wreck diving course; the instructor, the training location and the wreck diving course structure. Don’t be under any illusions that all wreck instructors and wreck qualifications are identical. There is a wide variation between otherwise (on paper) identical wreck diving courses. I will describe what could, or should, be taught – so that the reader is better educated to determine the relative value of any course they might consider enrolling upon. Access to cave systems is relatively easy to limit – and ‘site rules’ are often put into place to prevent untrained divers from attempting penetrations into cavern or cave areas. 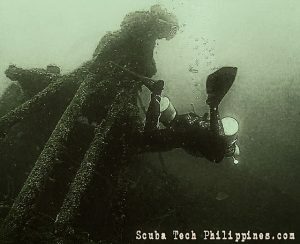 No such regulation or control exists with shipwrecks – divers are free to explore inside without demonstration of adequate training or experience. There is no mandatory use of guidelines, nor insistence upon effective equipment redundancy or team procedures. Wreck diving has no such community-wide benchmarks. The major scuba agencies have set a very low ‘bar’ on what it means to be a ‘wreck diver’ and actively encourage divers to penetrate wrecks, based upon the most meagre overhead environment training. Often less than 2 dives total exposure to penetration specific skills. In contrast with a cavern instructor (who invariably must be a fully trained cave diver or instructor), a wreck instructor might only have the most basic wreck diving experience – as little as 25 dives (no penetration required) to self-certify for an instructor rating with their agency. 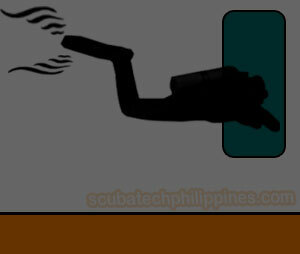 An overhead environment is defined as a scuba diving location where the diver does not have immediate access to the surface via direct ascent. One of the biggest factors pertaining to diving inside an overhead environment is that it can look safe to those uneducated in the risks. What may seem benign upon entry can rapidly turn into a potential death-trap through natural occurrences, unintended error or an equipment-related failure. The danger to untrained divers is that they often ‘do not know, what they do not know’. This prevents them making a reasonable risk assessment for the penetration.. and gets them into trouble. Cave diving agencies and divers devote an enormous effort into educating divers about the risks of caves. Remarkably little comparative education occurs for wreck diving. This video, by Lamar Hires, a noted cave explorer, is watched by probably every student who enrols on cavern or cave training. It is understood to be a necessarily serious message – presented to divers because of the well-understood risks. 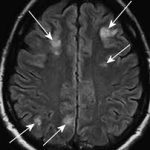 Risks that are substantiated by known trends in scuba accidents. Full penetration diving is certainly the preserve of technical wreck diving courses. These courses are specifically focused upon the mitigation of foreseen risks. 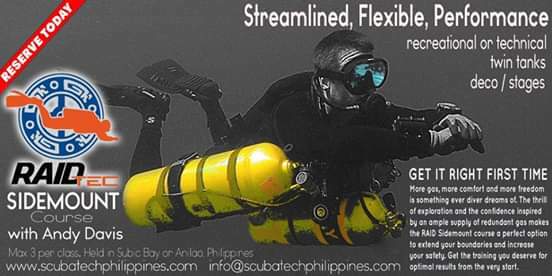 They demand an extremely high level of diving competence – the student needs already to be a qualified technical diver and have proven skill-set, along with a highly developed ability to control stress and retain mental functionality under the most severe circumstances. Now… this may shock you… unlike the clear definitions applied to cavern diving (which is strictly ‘limited’ penetration diving), wreck diving certifications do not differentiate between ‘limited’ and ‘no-penetration’ training. 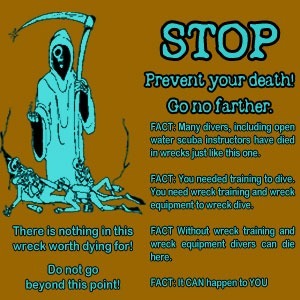 A wreck course may be run on either/or basis – as a penetration training dive is not mandatory for most scuba agencies. You receive the same c-card regardless. So.. you might train for ‘no’ penetration, but still receive a certification that ‘qualifies’ you for ‘limited’ penetration. Of course, that’s fine if you never intend to enter a wreck… and have the self-discipline to stick with that resolution. However, many wreck divers do intend to explore wrecks – if not at first, then later on, as they gain more confidence. At that point, the nature and goals of their training become really critical. 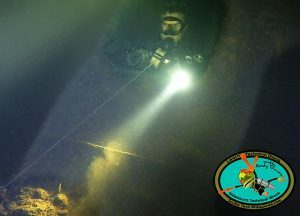 The first step to locating an effective wreck diving course is to consider the specific instructor who will run that course. Most experienced divers will understand the logic that an instructor can probably offer more value to a training course if they are qualified above the level that they will teach you. That means you should look for a recreational/basic wreck instructor who is qualified at technical wreck diving level. 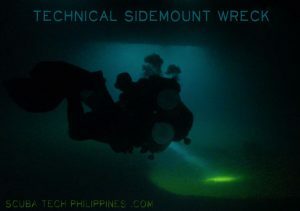 Technical wreck diving is on a par with cave diving – with a very similar skill-set, protocols and standards of tuition. If you have a technical wreck qualified instructor, then you are on a par with cavern/cave diving standards – in that your instructor is deemed proficient and fully skilled for diving into an overhead environment. Secondly, consider the relative experience of the instructor. As mentioned, just about any Joe open-water instructor can self-qualify themselves as a wreck instructor on the basis of a handful of dives, with no specification of the nature or conduct of those dives. Swim around a sunken kayak on 25 occasions.. it’d be enough, as long as they logged it as a ‘wreck dive’. Many instructors ‘pick up’ the wreck instructor rating because it’s known to be a ‘big seller’ – but only a relatively small percentage of those instructors would honestly describe themselves as ‘experienced wreck divers’. Ask yourself… how can they honestly teach a subject that they have no breadth of experience in or passion about? 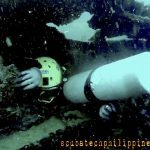 What lessons have you learned from actual wreck diving, as opposed to wreck courses? You need to complete training dives on wrecks if you are to become a competent wreck diver. You need to complete penetration dives inside wrecks if you are to learn wreck penetration. You might be surprised to learn that few agencies actually define what a “wreck” is. 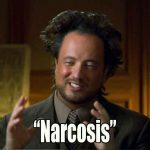 It can be interpreted widely, depending on how desperate an individual instructor or dive school is to profit from selling wreck courses. I’ve seen wreck diving courses completed on sunken VW mini-vans, scaffolding structures, and the worst, a sunken wooden kayak. A wreck doesn’t need to be a shipwreck, but it does need to offer a suitably compatible experience for the fledgling wreck diver. If your goal is to experience wreck penetration, and the skills which apply to that, then you need to conduct meaningful penetrations under realistic conditions. Bear in mind that the (other) golden rule of scuba training applies in this instance: You are only qualified to dive in conditions under which you have trained. If you’ve trained diving on a sunken bus or small motor yacht, then there will be a significant experience deficit should you subsequently dive on/in a large shipwreck. My advice is to research an area that offers convenient and regular access to ‘proper’ shipwrecks. Confirm what wrecks exist to be dived upon…and that you will actually be diving on those sites during your wreck diving course. Further to that advice, ask yourself… if a dive instructor/centre doesn’t have convenient and regular access to a ‘proper’ shipwreck, then what sort of wreck diving expertise are those instructors likely to have accumulated? In many cases, it is worth procrastinating your wreck training until you have the opportunity to visit a truly ‘wreck orientated’ diving location – either on holiday or save up and make a special trip for it. The value-for-money offered by that patient strategy is likely to pay long-term dividends in your skill level and experience. Most entry-level wreck diving courses provide some theoretical knowledge on general issues surrounding shipwrecks. 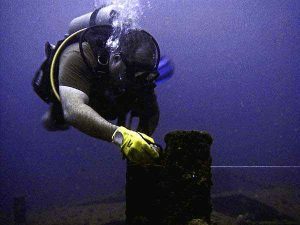 For instance, the legality of diving certain sites, the issue of artefact recovery, the historical and cultural significance of wrecks, the preservation of marine ecosystems that often thrive around the ‘artificial reef’ that wrecks become. This knowledge adds interest and flavour to a wreck diving course, but it does not contribute to the practical application of wreck diving skills or diver safety in the wreck environment. A wreck diving course may offer some translation of basic scuba skills for the wreck environment. It is typical to repeat navigation exercises, as practised on Open Water and Advanced Open Water courses, on wreck training dives; the use of basic compass and natural navigation skills to ensure that divers can ‘return to the line’ at the end of the dive. In truth, very little ‘translation’ of those skills is needed for the wreck environment. A compass is a compass. North is north. 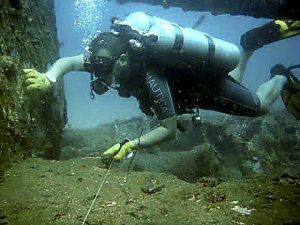 Most wreck courses also feature a ‘map-making’ dive – where the students have to create some form of a map during a wreck dive. There are often different goals attributed to this exercise. Some instructors use it as an adjunct to the navigation training. Others might use it to develop later research on the wreck – a technique that can help identify unknown or un-named wrecks you may, one day, encounter. This, of course, needs some education about ship features and layout as a pre-requisite. Some instructors might use it as a reference for future dive planning – for instance, planning a penetration on the final course dive. Last, but not, least, some wreck instructors might simply go through the motions, hand you an underwater slate and ask you to ‘draw the wreck’, for no definable benefit….just because it is a course requirement. 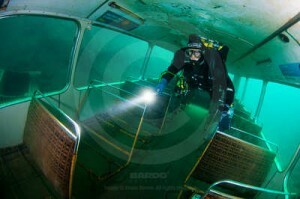 Most wreck diving courses feature a single dive to teach ‘penetration’ skills. 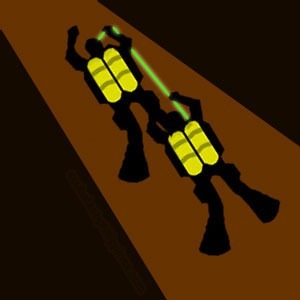 Those skills may, or may not, be developed through the conduct of an actual penetration dive. If they aren’t, then you need to ask yourself why. The student is not confident or competent to conduct an actual wreck penetration – and either the instructor or the student themselves, elects not to complete the optional penetration dive. If so, is that student really deserving a qualification that states they are qualified to conduct wreck penetrations? 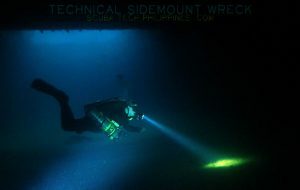 In comparison between the (equivalent overhead environment) Cavern Diver course and the stated outcome of Wreck Diver course qualification, it seems to me that it is irresponsible to qualify someone to dive inside wrecks – an overhead environment – if they have not demonstrated competency in that environment, demonstrating mastery of the critical skills essential for that environment. Don’t make assumptions about your potential instructor’s capability to teach, or refine, fundamental skills to an overhead environment standard. These must be practised on the course. It is not sufficient to allow divers to ‘work this out’ at a later date, should a real gas emergency arise. 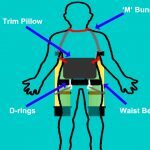 If that happens, there will already be a high degree of stress – and further adding to that psychological burden may prove sufficient to push a diver into a panic. At this time, we also need to consider the impact of ‘skill deficit’ relative to the other critical hazards common to wreck penetrations. 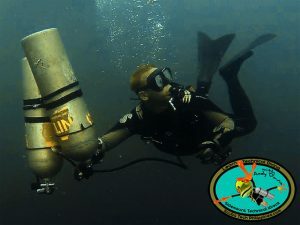 If the divers are struggling to establish an effective air-sharing technique for the confined space they find themselves in, then it is a high likelihood that the subsequent task-loading and necessary manoeuvring will begin to stir up silt. 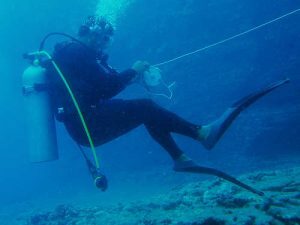 A very experience wreck diving instructor may educate students about the benefits of ‘long-hose’ alternate-air-sources. 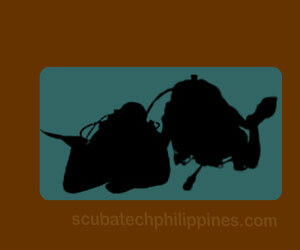 The use of a long (5-7″) hose for air-sharing originates from cave and technical wreck level diving. Divers at that level may have progressed beyond ‘restrictions’; confined spaces where two divers cannot pass through together. The longer hose permits divers to continue sharing air, even if travelling through tight spaces one after the other. There are specific strategies for storing, deploying and utilizing a long hose air source. Even if not chosen as a personal solution, the wreck diver should be educated about those options. Laying an effective guideline is an art. 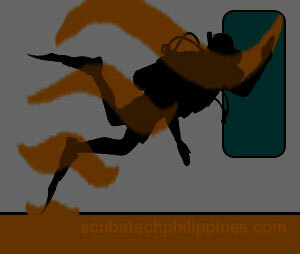 It is also an activity prone to risks – the biggest being that the diver themselves gets entangled in their own line. There are specific techniques and considerations for use of a guideline, and the instructor’s expertise and knowledge is essential if these are to be taught properly and completely. Laying and following guidelines is an art. Poor tuition leads to a weak technique that, in turn, poses more danger to the diver than actually having the guideline removes. This picture illustrates a number of major skill deficits and generated risks. The instructor’s willingness and ability to assist you with these important factors should be ascertained. 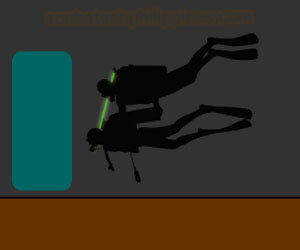 Even the best-trained divers can accidentally cause a loss of visibility. One should never be complacent or assume ‘it won’t happen to them’. 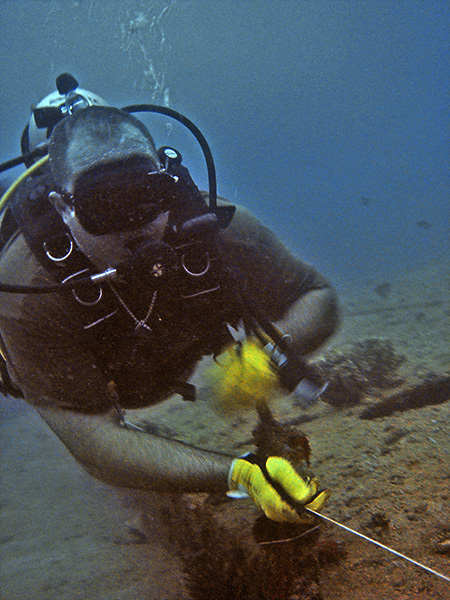 Wreck divers lay guidelines to mitigate against the known risk of silt-out and disorientation. Therefore, there is a logic that says we should practice all of our wreck skills under those ‘blind’ conditions. Familiarity breeds comfort.. and, trust me, you won’t feel comfortable on your first exposure to reduced visibility inside a darkened shipwreck. Your potential wreck diving course instructor might take the time to explain and practically demonstrate the ease with which different silt can be disturbed. They will make sure you understand the difference between mud, sand, sediments, clay etc. They will highlight that silt-out can occur from elements of the wreck itself; rust flakes falling from the ceiling due to your exhaled bubbles, wooden structures disintegrating into a fine cloud of particles, disturbed containers or pipes giving off an underwater ‘smog’ of diesel or oil into the water. The instructor may also prime you to operate under those conditions. That may include the use of a ‘blacked’ mask (blindfold) during repetitions of wreck diving course skills; such as guideline exits, air-sharing or entanglements. They might emphasize the need for team coordination under those conditions. They might even teach tactile hand signals and touch-contact communications to that end. 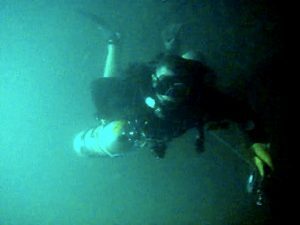 Those drills are always challenging – most divers underestimate how the loss of vision will detract from their ability to perform even the simplest tasks underwater; but they are always fun, rewarding..and most importantly, will prepare you to remain calm and objective if the worst-case scenario ever arises. Hopefully, this discussion has helped you understand some of the issues involved with overhead environment wreck diving, along with the training ‘essentials’ that should be provided in response to those demands. Choose your future wreck instructor and course location carefully, based on educated research and interview. Don’t be shy to ask detailed questions and expect clear answers before booking. You need to confirm the ability of an instructor to deliver a high-quality wreck diving course. It’s sad but true that many scuba diving instructors aren’t sufficiently experienced or trained to deliver what is, in essence, an advanced-level specialist environment course. 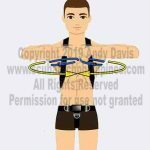 Be mindful that most wreck courses only consist of 4 training dives. These are the minimum requirements set by the training agency concerned. There is no maximum requirement – seek quality and focus on the results, not the certification card received. Choosing the quickest, most convenient and cheapest wreck diving course is often proven to be a false economy because it inevitably results in a woefully inadequate skill-set and experience level for wreck penetration diving.